Committee members stated the Fisheries Management Division behaving like a delinquent juvenile and is a repeated offender after it became clear Fisheries has spent 53% of its budget yet it achieved only 29% of its targets. They foresaw overspending in this division. The absence of the Deputy Director-General of the Fisheries Division to account fully on the matter irritated the Members. This emerged during the discussion on the Quarter 1 Performance of the Department of Agriculture, Forestry and Fisheries (DAFF) with the Portfolio Committee. DAFF reported that in its efforts to strengthen Integrated Performance Management it undertook provincial road shows to monitor projects jointly for better results. The benefits of this exercise are expected to be felt and this would result in high volume of validated information reported at all times. On access to markets for smallholder producers, DAFF noted four cooperatives were established in Gauteng for bargaining powers of smallholder producers for production inputs and marketing for commodities on livestock, vegetables and forestry. 18 cooperatives were supported with training during June 2017 in Mpumalanga, KwaZulu-Natal, and Free State - six cooperatives in each province. On animal and plant production and health, the draft policy on Animal Identification and Traceability has been developed. 126 applications were received for Compulsory Community Service veterinarians deployed from final year students. The planned target for 2017/18 is to deploy 150 veterinarians. A National Working Group for Farm Animal Genetic Resources has been established to strengthen the coordination of animal genetic resources. A report on monitoring of seed crops and seed potato schemes has been compiled to assess technical and administrative compliance to the schemes objectives. DAFF spoke about the series of HPAI H5N1 avian flu cases it had reported to the World Organisation for Animal Health. This brings the total number of outbreaks to 24: with the outbreaks in commercial chickens, three in commercial ostrich, five in wild birds, three in birds kept as a hobby, and three in backyard poultry. These outbreaks are in Mpumalanga, North West, KwaZulu-Natal, and Western Cape. Quarantine measures have been instituted on all affected properties. The continued cooperation of the public and thepoultry industry in reporting the sick and dying birds to Government Veterinary Services is vital for the effectiveness of disease control measures instituted. The Department pointed out it managed to achieve 64% of its Quarter 1 milestones. Its performance is expected to improve during the subsequent quarters because the functional working groups which present a good platform for improving coordination of performance management are aggressively being pursued and strengthened as a model for coordinating non-financial performance management. Members wanted to know why DAFF had scored low on its targets for food security and agrarian reform because it has been said poverty reduction is not happening in rural areas; why the Department is making use of 126 veterinarians for compulsory community service instead of the agreed 150; what the relationship is between the new draft Animal Identification and Traceability policy and existing practices; if the intervention to strengthening integrated performance management would achieve its intentions; reasons for the vacancy rate increase from 10% to 11%; if compensation would be given to smallholder and commercial farmers who have been affected by the avian influenza; and about the legal contestation about the fishing rights allocation process and about its progress. 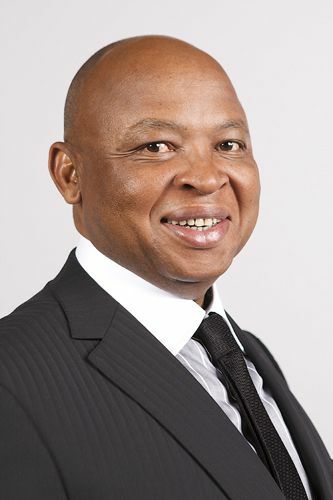 The Acting Director-General said that DAFF is discussing how to deal with financial management matters. They are setting up a governance framework that needs to be followed in sorting out the challenges. They are also working to ensure there is good spending in DAFF. They are observing how to ensure that overspending is to be avoided. There would be reprioritisation and the focus would be on critical areas. Minister Zokwana replied about compensation for affected farmers, saying that in their last meeting with stakeholders they discussed who has to be compensated. DAFF is developing a policy on compensation. He noted that when you budget, you do not budget for disaster. There has been no agreement on who is going to foot the bill. Mr Mooketsa Ramasodi, Acting Director-General: DAFF, spoke about the performance highlights of the Quarter 1 targets; challenges affecting performance; and emerging issues. For the period under review, DAFF had managed to achieve 64% of its set quarterly milestones. On governance and administration, the Risk Communication and Awareness plan has been reviewed for efficient and effective dissemination of risk information. The 2017/18 Work Place Skills Plan had been developed and approved on 25 April 2017. To strengthen Integrated Performance Management, he reported provincial road shows were undertaken for joint monitoring of projects for better results. All provinces were visited between May and June 2017 with Mpumalanga being the first on 16 May 2017 and KwaZulu-Natal being the last on 30 June 2017. The Food Security and Nutrition Working Group for the purposes of strengthening coordination of Food Security and Nutrition interventions was launched in Pretoria on 7 June 2017. The draft 2016/17 Annual Report for the Research and Technology Fund (RTF) projects was submitted by National Research Foundation (NRF) for input and comments. The Universities of Limpopo and North West were visited and progress on projects evaluated. This process would continue in Quarter 2 to the Universities of Fort Hare and KwaZulu-Natal. On stakeholder and inter-governmental relations, DAFF facilitated and coordinated the consultative meeting of MINTECH on 18 May 2017 in Pretoria. A Youth Exposition for youth development in Agriculture, Forestry and Fisheries was held in Coffee Bay (Eastern Cape), Umzumbe (KwaZulu-Natal), and Mbombela (Mpumalanga). On Forestry and Natural Resources Management, consultations took place in three Western Cape communities on the results of the Land Rights Enquiry study and also on the option of legal entities available for the communities. The Agro-forestry Concept document on pilots has been developed as part of Agro-forestry Strategy Framework implementation. A Situational Analysis Report has been developed for Climate Smart Agriculture Strategic Framework. On Fisheries Management, a progress report on the development of production technology for culturing the sea urchin and the development of replicable method for the production of the scallop was developed to support new studies on production systems for new candidate species for aquaculture. On animal and plant production and health, the draft policy on Animal Identification and Traceability has been developed. 126 applications were received for Compulsory Community Service veterinarians deployed from final year students. The planned target for the 2017/18 was to deploy 150 veterinarians. A National Working Group for Farm Animal Genetic Resources has been established for the purpose of strengthening coordination of animal genetic resources. A report on monitoring of seed crops and seed potato schemes has been compiled to assess technical and administrative compliance to schemes objectives. On access to market for smallholder producers, four cooperatives were established in Gauteng for bargaining powers of smallholder producers for production inputs and marketing for commodities on livestock, vegetables, and forestry. 18 cooperatives were supported with training during June 2017 in Mpumalanga, KwaZulu-Natal, and Free State - six cooperatives in each province. On challenges affecting performance, Mr Ramasodi said there is a misaligned reporting timeframe between DAFF and Provincial Departments of Agriculture. This affected quarterly reports on households supported with Agricultural Food production initiatives, the quarterly review report on the number of smallholder producers supported, and the quarterly report on the number of hectares cultivated for food production in communal areas and land reform projects. The provincial road shows undertaken by DAFF during Quarter 1 have provided guidance on coordination of performance information, and the impact is expected to be felt consistently from now on. The review of the Strategic Plan and Annual Performance Plan Framework by the Department of Planning, Monitoring and Evaluation (DPME) to align the reporting timeframes has been initiated. There is a challenge in the absence of approved Standard Operating Procedures for evidence management. This has affected the finalisation of rights allocated to registered small-scale fisheries cooperatives; Aquaculture Development Bill which has undergone NEDLAC processes; fisheries protection vessels; and compliance enforcement measures in the six prioritised fisheries sectors. To remedy this, DAFF aims to strengthen evidence management within the Department and to approve the Standard Operating Procedures on evidence management. On emerging issues, Mr Ramasodi said the process of finalising the Comprehensive African Agriculture Development Programme (CAADP) Biennial Review is continuing and the performance themes are being attended to. The validation workshop is being organised for September 2017 where stakeholders would further critique and endorse the report before it is approved and submitted to the Southern African Development Community and Africa Union Commission. Mr Ramasodi spoke about the series of HPAI H5N1 avian flu cases it had reported to the World Organisation for Animal Health. This brings the total number of outbreaks to 24: with the outbreaks in commercial chickens, three in commercial ostrich, five in wild birds, three in birds kept as a hobby, and three in backyard poultry. These outbreaks are in Mpumalanga, North West, KwaZulu-Natal, and Western Cape. Quarantine measures have been instituted on all affected properties. The continued cooperation of the public and thepoultry industry in reporting the sick and dying birds to Government Veterinary Services is vital for the effectiveness of disease control measures instituted. DAFF undertook to investigate the impact of the fires in the Knysna, Plettenberg Bay, and Mossel Bay areas between 19 and 28 June 2017. Meetings were held with stakeholders including the Western Cape Provincial Department of Agriculture, Forestry SA, Knysna Local Municipality, Department of Rural Development and Land Reform, and the National Disaster Management Centre. Site visits were conducted. DAFF would provide support when due processes have been followed for funds to be allocated for the disaster in consultation with the National Disaster Management Centre. 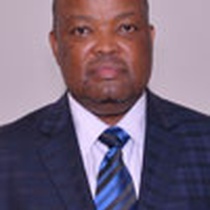 The Acting Director-General, in his conclusion, stated the performance of the Department is expected to improve during the subsequent quarters because the benefits of provincial road shows of Quarter 1 are expected to be felt and this would result in high volume of validated information reported at all times. Also, the functional working groups, which present a good platform for improving coordination of performance management, are aggressively being pursued and strengthened as a model for coordinating non-financial performance management. Ms A Steyn (DA) asked why DAFF has scored so low on targets for food security and agrarian reform because it has been said poverty reduction is not happening in rural areas. The achievement of 29% is not going to ensure that farmers can farm productively. She complained the presentation documents were badly written, and suggested the Committee obtain the quarterly reports from Treasury. She remarked that she did not think the percentage increase on ownership of productive land is achievable. She asked why the Department has only 126 veterinarians for compulsory community service instead of the agreed 150. She asked how DAFF is dealing with the wild birds that have avian flu. Lastly, she wanted to find out if the drought disaster is being monitored. The Chairperson came to the defence of the Department about the badly written documents. The Committee agreed DAFF should compile its reports in the form of targets, reasons for not meeting the targets and achievements. This is the format DAFF has followed. 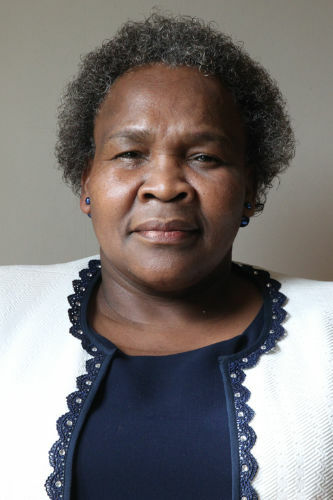 Minister of Agriculture, Forestry and Fisheries, Senzeni Zokwana, reported on the drought and said something is being done. They have met with the industry in Johannesburg recently under the auspices of Agri-Business. It had been reported to Cabinet that money has been allocated to the Western Cape. Ms Steyn insisted that drought is not declared on the ground, and wanted to establish what DAFF is doing to assist in the declaration of drought and who is responsible for carrying out that declaration. The Acting Director-General, Mr Ramasodi, indicated they get constant updates from the Western, Eastern and Northern Cape on drought matters. Concerning poverty reduction in rural areas, he said they are working hard to achieve the outputs of Outcome 4 to reduce unemployment in rural areas. On ownership of land, he stated there are policy documents that talk of land ownership. The issue is how implementation is done. With regard to the 126 veterinarians, he explained that that is the number of students who had passed from the university. Minister Zokwana said that it is difficult to install boundaries for wild birds because they are migratory. DAFF has outlined control measures. This disease is ravaging Europe and America. Affected stakeholders had made a representation for vaccination which may reduce fatalities. A media conference was held on the matter, but nobody can declare this flu on the basis of birds dying. It is difficult to do surveillance on wild birds. The current system in place is reactive. The truth lies in improving control measures. Another problem is the reluctance of our neighbours to report outbreaks. There is a need to work with farmers and neighbouring states. The issue has to be taken up veterinarians. Mr P Maloyi (ANC) reminded DAFF the Committee suggested it should set achievable and realistic targets when dealing with the Annual Performance Plan (APP). If that is not done, DAFF would continue reporting challenges to the Committee. DAFF should set targets it could achieve and had budgeted for. Things need to be attended to within the Fisheries Management because 53% of the budget is spent while the targets achieved are at 29%. It was unfortunate the Deputy Director-General for Fisheries was not at the meeting to have the Committee understand where the problems were. Did DAFF foresee overspending in this unit? 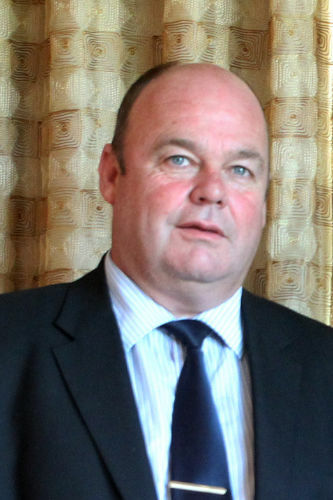 He referred to DAFF not being able to pay suppliers in January in the fourth quarter. They get paid in April in the next financial year. This means there is a budgeting problem. The Acting Director-General agreed with the points Mr Maloyi raised and said they would be taken into consideration. DAFF is discussing how to deal with financial management matters. They are setting up a governance framework that needs to be followed in sorting out the problems. They are also working to ensure there is good spending in DAFF, and that they report at different levels on how they pay their service providers. They are observing how to ensure that overspending is going to be avoided. There would be reprioritisation and the focus would be on critical areas. Mr P Van Dalen (DA) remarked Fisheries is the worst performing division, having spent 53% of the budget yet achieving only 29% of the targets. The Fisheries Management division is a serial offender and is behaving like a delinquent child. He does not know how DAFF is going to sort out the Fisheries problem. There had been a Hawks investigation report which he does not know where it ended up which was dealing with corruption in the Fisheries Management Division. He asked DAFF to update the Committee on the fishing rights application process; and asked why DAFF is always in court about this. Minister Zokwana replied to the question on why DAFF is always in court. He said it is important to understand the argument of the fishing company that took DAFF to court. The company went to court without following due process. It is because it does not trust DAFF. The matter was not about the quota but only because the company did not get what it wanted. It only wanted more fishing rights. These companies go to court whenever they do not get what they want. Even after it got what it wanted, it still went to court. These companies are fishing in our waters illegally and sell our fish abroad. DAFF has agreed to meet the fishing companies to discuss the 2020 fishing quota. Transformation is another area that is going to be discussed. Any allocation that is not fulfilling transformation requirements is not going to be entertained. There is a fishing company that took away a certain community’s fishing rights in the name of acquisition. DAFF is following up on that case. When it is finalised, DAFF is going to report back to the Committee. On the fishing rights allocation process, a DAFF official explained that the West Coast Rock Lobster applications have closed recently. Appeals would be dealt with as soon as possible. One fisheries matter that is outstanding is commercial abalone. DAFF still needs to do some serious work on this to ensure it is sustainable in the long run because it has been over-harvested. Mr N Capa (ANC) asked about the relationship between the new draft Animal Identification and Traceability policy and existing practices. He also asked if the interventions for strengthening integrated performance management would achieve their intentions. Mr Ramasodi replied that the framework has got two systems that have been operating. The two areas Mr Capa is referring to have not been yet brought together in the legislation. But the policy is trying to marry the two together to bridge the existing gap. 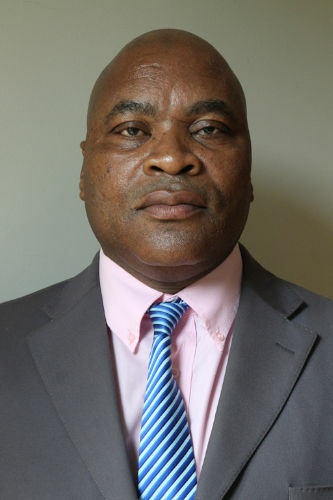 Mr Bonga Msomi, DAFF Chief Director for National Extension Support Services, said these interventions are there to coordinate food security and they are made up of DAFF, COGTA and the Departments of Basic Education, Social Development and Rural Development. They fall under Outcome 7 (Vibrant, equitable and sustainable rural communities and food security for all). Recently, DAFF held a Food Security Indaba and this was the rollout of the programme. The Chairperson asked why the concerns the Committee had raised about the APP have not been attended to. These dealt with the commercialisation of black farmers; the number of hectares of land under irrigation development in the Medium Term Strategic Framework (MTSF); increasing veterinarian community compulsory service to 150; and transformation. The Quarter 1 report does not refer to the finalisation of the mechanisation policy and the funding of smallholder farmers by Treasury. She commented about the worryingly slow pace by DAFF on integrated support and financial support to small producers, and it appears DAFF wants to go back to its initial planning. She said the Fisheries Management legislation needs to be relooked at because many DAFF officials have been given roles and responsibilities in the Act. The Director-General is not the only one to be held accountable. The Acting Director-General, responding to the APP concerns, explained that each and every APP is broken down into milestones. All the concerns the Committee had raised were dealt with by DAFF in the form of an addendum, but this has not been brought to the Committee yet. This would be reported on in Quarter 2. He noted that it was agreed with the Committee to consolidate the mechanisation policy into the producer support plan. The Chairperson interjected saying the policy was meant to support provinces to ensure there are similarities. The Acting Director-General said they would make a stand-alone presentation on that. He agreed with Chairperson’s concerns about the framework of the fisheries legislation. Mr W Maphanga (ANC) asked the reasons for the increase in vacancy rate from 10% to 11%. He asked if compensation would be given to smallholder and commercial farmers who have been affected by the avian influenza. The Acting Director-General explained there were 7000 posts. These posts have been reduced. Non-critical posts were abolished and the focus is on critical posts. Further, there are resignation, retirements, and promotions within DAFF. They are looking at structured alignments that could be done to find suitable ways of delivering essential services. Mr Van Dalen remarked that fishing patrols are usually done early in the year. The targets have not been met yet huge sums of money have been spent. He also pointed out that many fishermen have lost their livelihood due to the fishing licences. These fishermen come from the traditional fishing communities and most of them are coloureds. They do not represent the big fishing companies. The Minister replied that the state has to use its vessels and personnel to find and prove the fish being harvested illegally, belong to the state. Five major fishing companies are white. Blacks do not have even one vessel. DAFF needs to deal with the big fishing companies in a way that it is able to satisfy the Small Scale Fisheries Policy. In most fishing communities, there is no processing. It is not acceptable to take fish from the community and process it somewhere else. That means you are killing those communities. It has become clear there is wastage of this harvested fish because the processors throw away the intestines of the fish which could be converted into a liquid fertiliser. The Chairperson asked if extension officers are not the resource of DAFF on the ground. She reasoned that the Comprehensive Agricultural Support Programme (CASP) has funding to capacitate extension officers. They need to be trained as project managers so that there would be no delays from the provinces when it comes to monitoring and evaluation. The Minister agreed with the Chairperson and indicated that monitoring and evaluation should be a seamless system that starts with an extension officer. Mr L Ntshayisa (AIC) asked why the budget for disaster is not put under the contingency budget so that disasters could be covered when they do strike. The Minister pointed out the budget for disasters is R63m. DAFF needs to think broader because climate change would continue to bring disasters. Given the budget constraints, one wonders of what is going to happen. The Chairperson stated DAFF needs to be smart about these things. There are avenues like Operation Phakisa that could be approached to see if things like disasters could not be funded. The Minister reported the global funders have got funds, but DAFF needs to plan properly on what it needs so that these funds could cover things like land degradation, greening, tree growing efforts, and drought. The Chairperson said that 1% of the budget has to be allocated to disasters. She admitted the 1% cannot cover big areas like the fire disaster that happened in Knysna, but that 1% could help in small areas. Ms Phumelele Ngema, Parliamentary Legal Advisor, took the Members through the Bill, clause by clause. Ms Steyn moved for the adoption of the Bill. Ms T Tongwane seconded the proposal. The Bill was adopted as amended. The Committee Secretary read out the Committee Report on the Bill. Mr C Mathale (ANC) moved for the adoption of the report. Mr Van Dalen seconded the proposal.